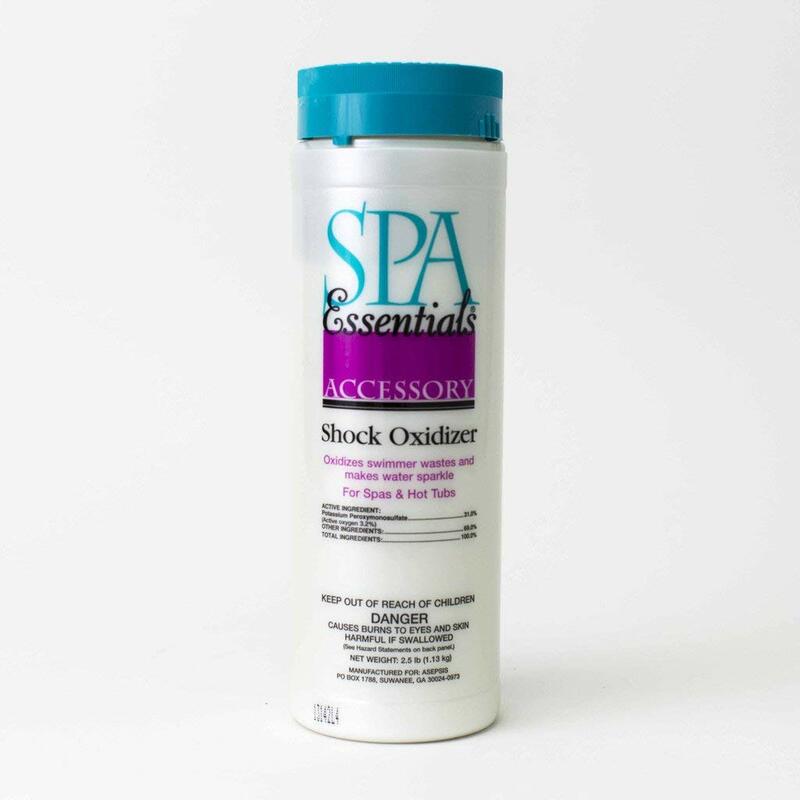 Spa Essentials Spa Oxidizer Non-Chlorine Granular Shock is easy to use. This non-chlorine granular shock treatment is for spas and hot tubs. Removes unwanted organic compounds from spa water and restores water sparkle. Spa Essentials can help you make your spa water sparkle. 43% Potassium Peroxymonosulfate, 23% Potassium Bisulfate, 29% Potassium Sulfate, 3% Potassium Peroxydisulfate, 2% Magnesium Carbonate.